Like everyone else, my “story” has included a series of personal transitions, which have formed the person/professional I am today. A former "Navy Brat", I spent most of my youth moving between R.I. and VA every few years. A year after I graduated from Mount Vernon H.S. in Alexandria, VA, my dad was transferred to the NROTC unit at Auburn University, where I graduated with a bachelor’s degree in Interior Design in 1973. 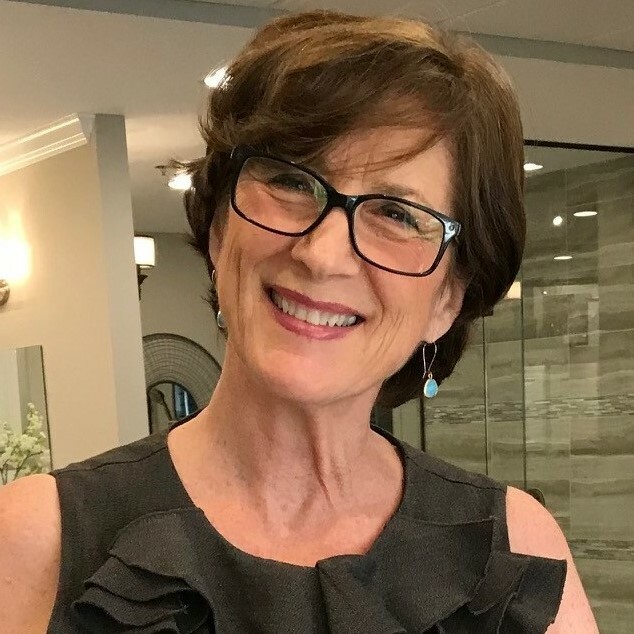 I moved to Jacksonville and worked for several architectural firms doing commercial space planning and interior design before opening my own Interior Design Firm, Integrated Design Services, Inc. in 1977. I married my former husband in 1980 and my three amazing children, Forrest, Megan and Mandy arrived over the next 6 years. I loved being a stay-at-home mom, designing occasional free-lance projects, as we raised our children in NW St. Johns County where all three excelled in the local public schools and went on to earn college scholarships. Forrest stills live here in Jacksonville and is a trial attorney. Megan is a successful life coach with her own company, Fruition Coaching and resides in Austin TX with her fiance', Joseph. Mandy, also self-employed, her husband, Josh and my dear grandson, John live in Denver. I spent 15 years in and out of the design field, earning my MBA from Jacksonville University in 1995 as my marriage was coming to an end. I started a new career as the Senior Construction Project Manager facilitating the total realignment of over 1 million square feet of office space for the Barnett Bank transition to Bank of America for 6 stressful years. I finally left the corporate world to start my "dream career" selling residential real estate in 2003. Now I apply my marketing, design and management skills to developing creative marketing plans and helping my customers prepare their homes for market. I love the constant challenge, but unlimited potential my real estate career offers, and enjoy the ability to meet and work with a diverse group of buyers and sellers, many of whom I now consider friends. My career goals took a sharp turn from simply earning a nice income, to having a new, higher purpose in 2015. I already knew I wanted to focus my real estate career on the Baby-Boomer generation once I earned my SRES (Seniors Real Estate Specialist) designation in 2014 and recognized what a need there is for specialized services related to working with what many refer to as “the Sandwich Generation”. Boomers typically are helping their children purchase their first homes, while helping their parents sell their family homes in order to move to a more senior-supportive environment. Many are retiring and downsizing themselves. I had sold several homes from which older customers were transitioning into senior living facilities, and knew I could develop a better, less stressful approach. However, this need really hit home when my sister, Beth, was diagnosed with terminal cancer in early January of 2015. Beth had been living in my parents’ home of 40 years since our Mom passed away in 2012, and we had never really started dispersing our family belongings. My family and I were suddenly faced with the emotional task of preparing our family home for market when Beth passed away only two months later. Even with my real estate experience, it took a full nine months to finish the task, settle her estate and finally be able to focus on my career again. It is that personal experience that has motivated me to change my focus to helping my fellow Baby-Boomers with their own family transitions. I have built a team of professionals with whom I can work hand in hand to remove the stress from one of life’s most difficult events.